Considered as one of the South India’s most splendid places, Kodagu or formerly known as Coorg, lies about 100kms from the city of Mysore. 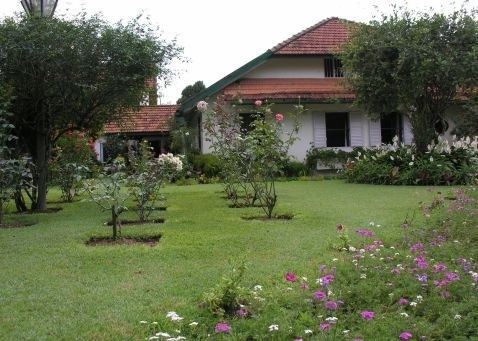 During the colonial rule, the school estate was one of the early missionaries to Coorg. It has now became a soothing and serene home for a variety of animals and birds visiting this place. School estate Coorg is well thought-out to be the best place to give your stress mind a complete relaxed time period and soothe all your worries with its contemporary amenities. It is all because of the fresh ambience of Mother Nature surrounding the complete area bringing you near to the nature. With the old estate home, you can savour some fresh air under the blue sky with the extending field of wintry poinsettias, blossoming coffee pasture and pepper wines. We are well known for our warm hospitality that uplifts not just your inner soul but also promising you with exotic varieties of ethnic and western cuisines. School estate Coorg prides itself for some exceptional facilities like its timber floored bar area and the sunken garden dining area. Laid with some evergreen lawns and gardens, we provide you with three bedrooms with attached bathrooms and a family room as well. Travel around and discover the elephant camps and clan temple. If it is the harvest festival going around, you won't be missing the ancient Coorg warrior dance with us! Mysore airport is the closest airport. You can also reach to School Estate Coorg easily through Mysore highway. Coorg is easy to reach from Bangalore which is around 250kms away, from Mangalore 180kms, from Mysore 90kms. It is also connected to cities like Nagarhole, Madikeri, Talacauvery and Dubare.